What is a Professional Painter in the United Kingdom? In general terms, there are two distinct types of painter. On the one hand you have a painter who is an artist, like Rembrandt, Leonardo da Vinci and Picasso, while on the other hand you have John Smith, Brian Jones, and Billy Watson, who are painters and decorators involved in the interior and exterior painting of residential and commercial property. As far as Painter.co.uk is concerned, we will be dealing with the latter type of painter (or professional painting company) as we don't believe many of our clients can afford to pay £25 million for one of our painting jobs! 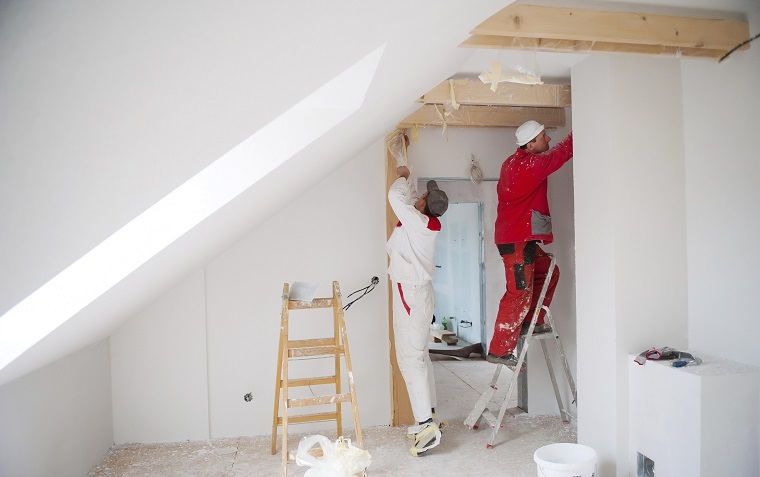 However the term painter can be broken down a little further to avoid any unnecessary confusion as often the terms 'painter and decorator' are used in the same phrase, when in truth they are not one and the same trades. The notion of painter has, as described above, at least two meanings. According to Jeffri et al. (1991) from Colombia University: "painters, or professionals that mostly create artwork in the form of paintings, can be considered painters when they inhibit an inner drive to make art". Further readings: Daniel, H. (1971). Encyclopedia of Themes and Subjects in Painting; Mythological, Biblical, Historical, Literary, Allegorical, and Topical (New York: Harry N. Abrams Inc). Merriam-Webster defines a 'professional painter' as a tradesman who applies paint especially as an occupation. These tradesmen, apparently, are first called 'painters' as of the 14th century in Middle-England. And this will be the going definition for 'painters' on this website. We will be dealing with all aspects of residential and commercial painting jobs in the United Kingdom. A commercial painter is solely involved with the painting of property, be it commercial or residential. A decorator may well be a painter, but they have additional skills, which include hanging wallpaper, applying textured materials to walls and ceilings, and utilising more than recognised painting procedures alone. 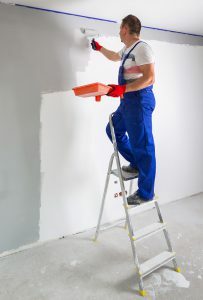 This point is worth considering as there is an expression 'Jack of all trades but master of none', which means someone may be good at both painting and decorating, but may not have the skills and specific knowledge of someone who specialises solely in painting. There are different reasons why it is advantageous to hire a local painter. Firstly, if they are local it is easy to ask them for references of clients they have done previous work for. If you require external decoration work done on your property then you can easily do a drive by of any other property they have recently decorated on the outside and inspect the standard of their work. Also, take a quick glance at webpage Cowboy Painters to find more information about how to recognize and avoid these sort of people. If you are looking for quality painters in your area, than our quote services might come in handy. You will find the full list of useful tips on this web page. There are no hard and fast rules for painting costs. Much will depend on where you live and also the painter you choose. For example, the cost of hiring a painter in London could be up to four times higher than hiring a painter in Sunderland. A useful tip though is to decide how much money you would lose if you took the time off work to do the painting yourself and then compare that to the cost of hiring a painter. Find more information on the Painter Prices and Save on Costs web pages. Here are video's for you about painting a room in general. You will discover that there is considerably more involved in painting than knowing how to use a paintbrush or roller. We want you to feel more confident that when you ask a painter to give you a quote for painting your property, you will recognise from their answers that they clearly know what they are talking about. So, have a look at these articles and then use our simple form to request quotes from local painters to get the ball rolling. Request your Free Quotes here. What will your painting job cost you, precisely? > What to look for in a painter? Avoid bad painters to find the right one. A how-to guide on which signals to look for. What will repainting / redecorating your house or business cost you? What are good paint brands and how to pick colors for the ceiling and walls? Painter.co.uk contains information about painting and decorating services in the United Kingdom. Finding a professional painter in your area will be easier with our quote service and will save you time and money. > What is a Painter? Yes, I want to receive quotes! Painter.co.uk contains information about painters and decorators in the United Kingdom + don't forget to read our short DIY guides aswell. Contact us via the contactpage. > How to Spot Cowboy? > Difference Quote & Estimate? > How to Paint the Exterior? > What is a Painter's Quote?